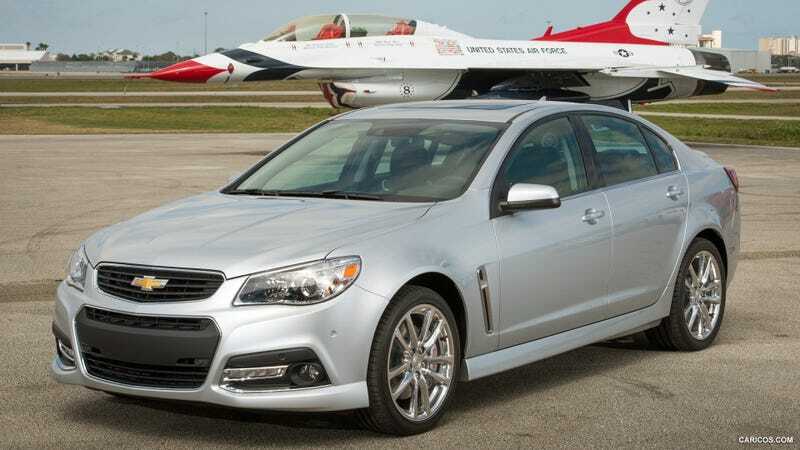 The Chevrolet SS doesn't sell well, even though it's a genuinely good car. In my opinion, this is partly because Chevrolet doesn't market the darn thing near enough, and partly because it's priced way too high. For comparison, a base-spec SS costs $45,745, whereas a base Dodge Charger will only lighten your checking account by $27,995. To help Chevrolet realize their problem, I've put together a list of ten used cars that can be had for $45,000 or under, also known as less than a new SS sedan. Some are sports cars; some are super-sedans; some are European; some are American. Let's see what we've got, shall we? Who wouldn't want to own one of the most iconic sports cars of all time? Yours for $44,995. An Aston Martin for less than a Chevrolet? Depreciation, man. This clean, $44,900 example has just 23,000 miles on the odometer. They may be a bit harder to find, but they're definitely worth every penny of their price tag. A luxurious, four-door rocket ship for only $41,997. What's not to like? Better value than both a Chevrolet SS and a Chevrolet Impala. To (sort of) quote James May, it's $45,000 of power, prestige, and peeled cows. Whatever happened to the days when every Maserati didn't have a stupidly long name? Right up there with the Porsche 911 on the list of amazingly affordable used car legends. A 556-horsepower American coupe with only 3,000 miles? Hell yeah.